Video transfer to DVD/USB Video transfer to DVD/USB, - Memorescue :The memory rescue studio - Better past with us! Did you know that your VHS player is working by a 37 years old standard which was introduced in the year 1976? Since then, people recorded millions of hours on video cassettes. These are mostly family memories and TV programs. Unfortunately people have just realised - after 30 years -, that this format will not last forever. 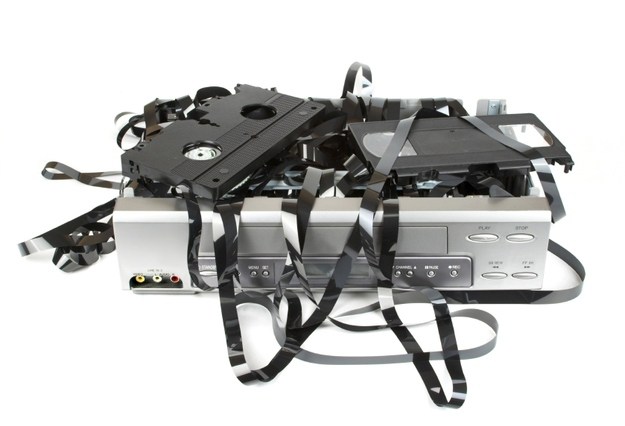 What are the disadvantages of the videocassette? You can not buy a new video player since 2003 and it is getting harder to maintain them. 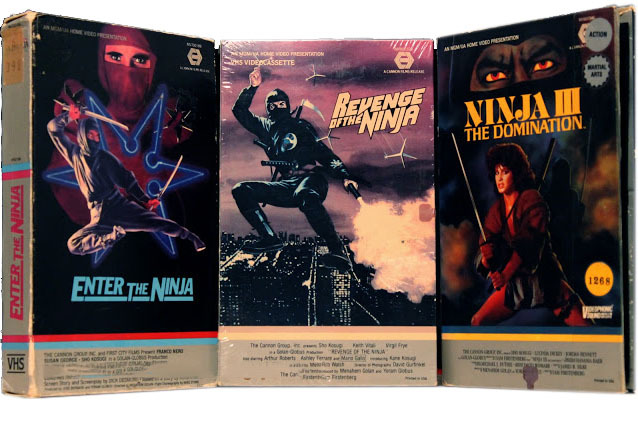 Most of Memorescues orders are of VHS and other kinds of magnetic tape video cassettes. Our daily capacity is 80-90 hours, we transfer hundreds of cassettes every month. The most important thing is we transfer every cassette carefully, like it was ours. We use dozens of well-maintained recorders through our process. The faults of the tapes (jumps, sync errors, the image distortion caused by the tapes`s elongation) are compensated by TBC and 3D filters. (No one should transfer analog recordings without filtering) Then we save it to MPEG2 format, which is the base format of movie DVDs.. This is followed by the cutting of the ends, DVD burning or exporting to files. After the transfer and takeover we store all of the recordings for a week for quality reasons - if you need a second copy, you only need to phone us! We often work for companies, schools, doctors, who bring us tutorials, corporate events, documentaries. We are proud to be unavoidable participants of the field of video transfer, many of our recordings have already been used in television, on homepages or on trials as evidence. YOUR VIDEO RECORDER GONE WRONG, and you have no idea, what is on your cassettes? Bring your cassettes, you can check the content in our office! We set up two videos with display for our customers. Anyone can use it freely, so you can easily take a glance at you recordings to see if the content is the same as the title on them. You can also set the tape to the section you need. Cassette transfer is available in any kind of format, even studio tapes used in broadcast! We transfer PAL recordings on 720*576, and NTSC recordings on 720*480 standard resolution, with 25 and 29,97 frames per second. The used bitrate is CBR 5500 for VHS and CBR 8000 for DV cassettes of one hour. What kind of format can I ask for my videos? As we burn a videoDVD, it will be the same format like DVD movies in stores, there will be AUDIO_TS and VIDEO_TS folder, videos will be .vob on the disc. Computer and desktop DVD player will be able to play it. Copy to the computer is possible only with special programs. Basically MPEG2 files are created in our computer, we cut them to 4Gigabyte sized parts, to fit on disc and burn them on DVDs. These kind of files can be copied on a computer easily like any other kind of media. It can be played on the computer by clicking on it, but most of the desktop DVD players will not be able to play it. We copy the .mpg files onto this, too. It is the same in attribution as the DVD - MPG option, but we dont cut the files onto parts, and the media is not a DVD, but a pendrive or a HDD. AVI is a format developed especially for post-work, it is an almost uncompressed video file. The size of the file is huge, every hour is 13GB any only the computer can recognize it, work is possible with professional video editor software. If you want a compromise-free solution, ask us to transfer your videos to AVI! You can only take these on HDD because of the size of files. 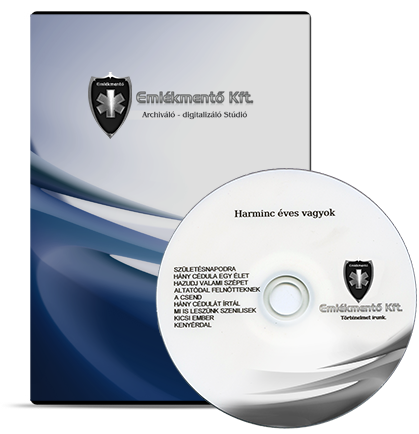 free copy to a pendrive or HDD. -Titles are very important, these can identify a cassette. Some people store the cassettes without any title, some have a whole paper full of the names of every scene. The storage and search is easier later if you have titles on your cassettes. Even better, if they are readable. The title on the case is not always credible, it is rare that a cassette is in its own case. We print every DVD with the title found on cassette, but if we can’t read it or there is no title, then we give a number as a name. -Do you know what is exactly on you cassettes? Most of our customers don’t. Even if the believe so. We usually find Rambo and other action movies before-during and after the family recordings. Which you might not want us to transfer. You should take your time at home to check your cassttes if you still have an active VHS player. You can do the same in our store! If you have part you don’t need, you can write it on the case and we will pay attention to it e.g. “0:00-2h35 family recordings, from 2h35 I don’t need it”. Ask our colleague to write it on the worksheet. -Altought we use qualitative discs, it is not sure they will last more than 10-15 years. It is really useful if you can store your videos on your computer. To do so, you will need to have plenty Gigabyte of free space, which you can prepare for. Along your cassettes, give us a hard drive of NTFS file system and we copy everything on free..
One hour od MPEG2 takes 3,7Gb. One hour of DV-AVI takes 13Gb. 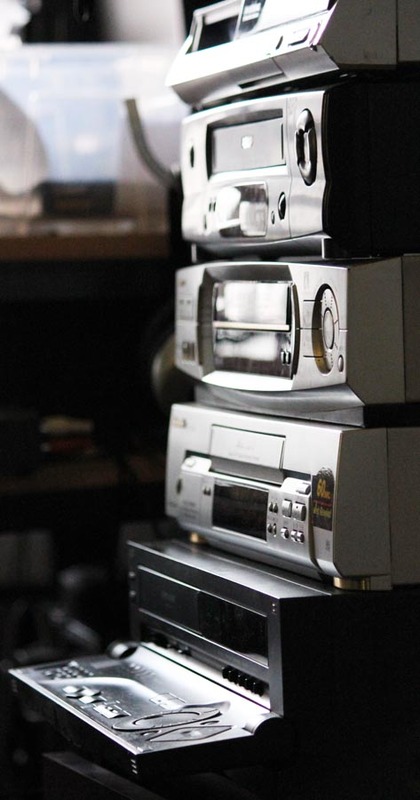 The last twenty year’s dominant analog then digital cassette technology is gone by now. A few stores still sell miniDV cassettes, but the manufacturers had to move on to the new customer demands. The demand of high-definition home recording has risen. 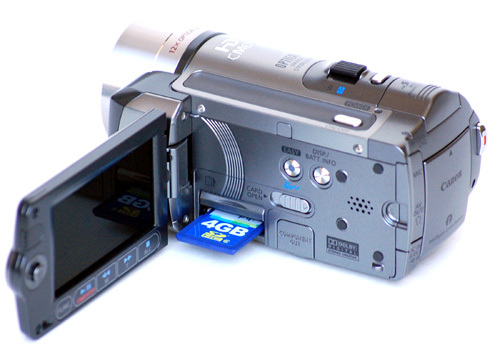 In 2008 Panasonic and Sony developed AVCHD video standard with MPEG-4 AVC/H.264 encoding. At first the only available recording technology was DVD, so the videos were burned onto a small, 8cm DVD. Over time appeared the versions with internal hard drives and the ones with memory cards. -DVDs don’t last more than 10-15 years, they get scratched, camcorders use lot of energy because of the disc rotation. They also can not stand the percussion. -Inner hard drives are sensitive to shaking and to the changes of atmospheric pressure, and when they go wrong, the service is expensive. -The inner, solid-state drives’ (SSD) replacement is also expensive and they can take limited numbered of burning and reading - much less than a normal hard drive. They can go wrong in a few years with the stored data on. -The current technology is of storage on memory cards, which are sensitive to static energy and they get worn-out. Aside from these blemishes AVCHD is an excellent format, you just have to watch out and copy the STREAM folder on your computer after every event. Why AVCHD isn’t good? When you press the button “Recording”, an .mts file is made on the memory card. When you do it again, the camera closes this file and will create an other one when pressing the button again. So if you make a lot of smaller recordings (as everybody else), at the end of a holiday you can have 200-800 pieces of small files. The average user can’t do anything with these! He can watch them from the memory card with a computer or the camcorder one by one - and this is all. The card can go wrong any time, so you have to copy it on the computer. Some TVs support AVHD playback from the memory card, but the card can die any time, you can`t use them as video tapes. If you want to give some videos to your friends and family members, giving on a pendrive is a exellent solution, but still nobody can do anything with these files beside watching them clicking on every file one by one. Camera manufacturers always give softwares which you can use to join your videos or to brun a DVD of them. It sounds great, but experience shows, that you can’t really do anything when the memory card is filled, you don’t have the time to learn the software or you just don’t know computers that much to start the learning. How can we help to the owners of AVCHD files? We can join the many, small videos to one and if we get dates, e.g. Aprul 4-13 2013 the family was on Cyprus then we can convert it into one file by every event. Before joining them, we can delete the misfit or accidentally made videos, so the final movie will be only of the useful videos. When all the events are in one video, it can be converted to DVD, so grandmother can also watch them. There is no minimal order! You can either ask for the important ten seconds from a recording or a room full of cassettes!